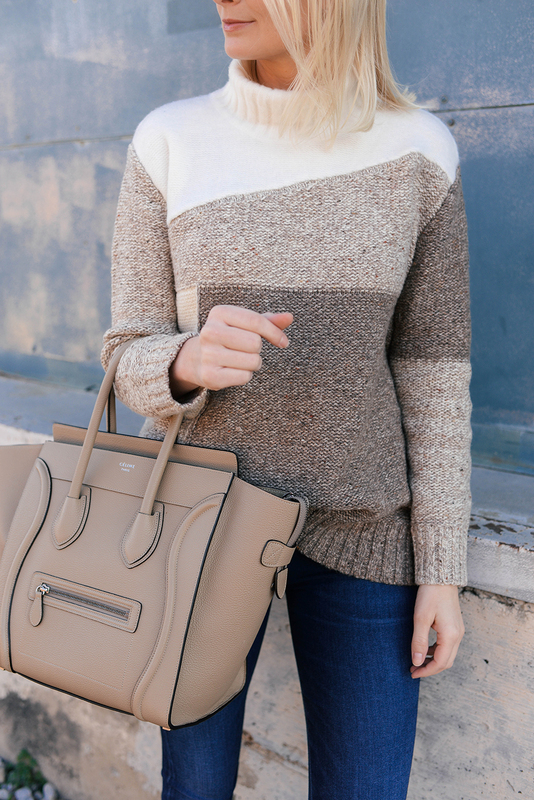 In the meantime, here’s this nothing but neutrals look featuring the coziest oversized turtleneck! 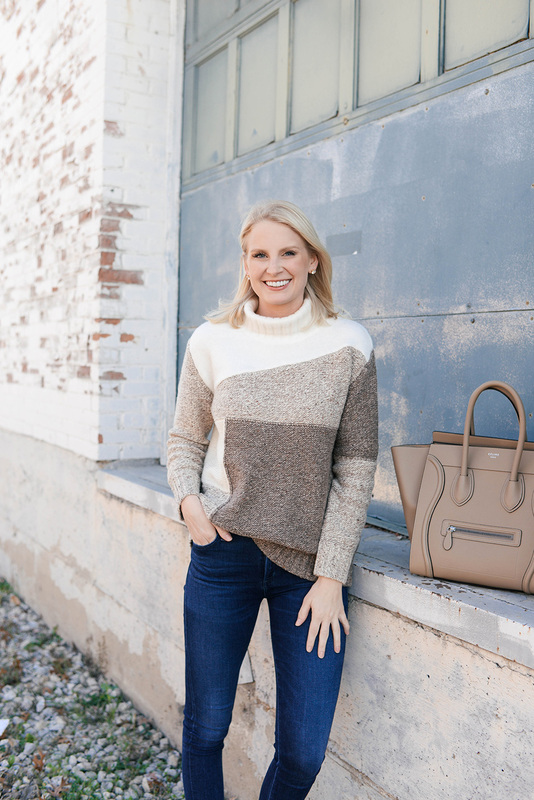 I have collected dozens of solid, neutral sweaters over the last several years, but every once in awhile I like to add some variety with a print, a sweater with embellishments or just some other special detail. 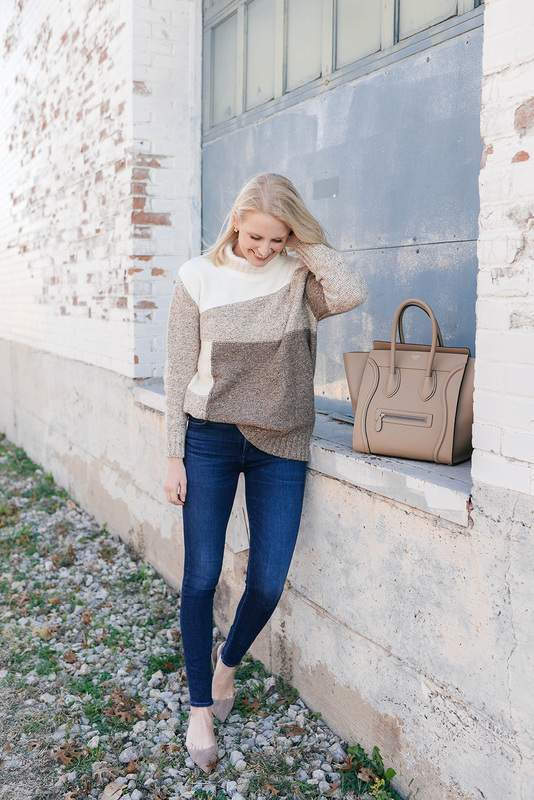 In addition to being super soft and warm, I love how this turtleneck features a patchwork of some of my favorite neutral colors! 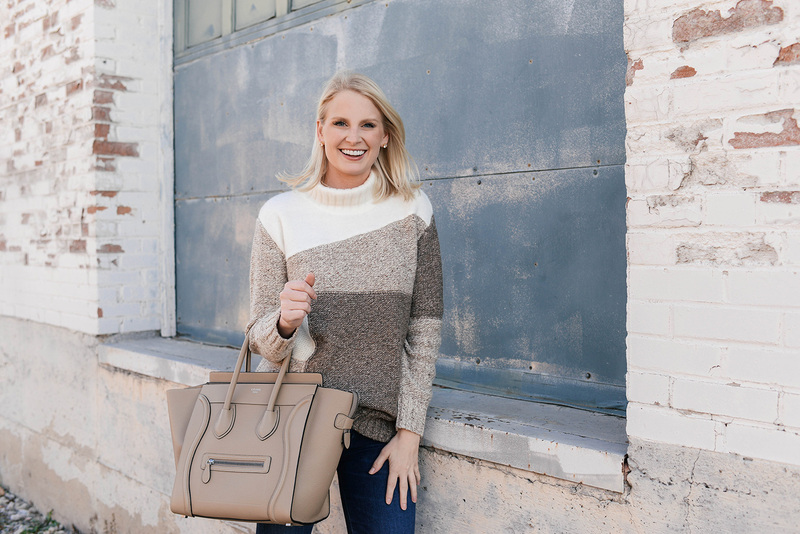 It’s so easy to pair back to my go-to everyday jeans, neutral shoes and handbags – definitely one of those pieces I can wear while working at my desk to a casual drinks or dinner date with friends. The sweater also comes in a black color combo, which would look perfect on a ski trip with your favorite leggings and boots! Normally I’d have more to say in a blog post or at least link some additional content, but honestly I’m fighting a cold from my trip and I’m getting up early to fly home (writing this post Sunday night, obviously). You win some, you lose some! Hope you won’t hold that against me! In the meantime, you can always check out THE SHOP for new updates and my Instagram for the latest looks from my trip! Love this look, so pretty and fresh. These flats are on my wishlist. That turtleneck is so cute! Feel better soon, Merritt! Hope your travels home go smoothly!